GoPro’s revenue and stock prices are going off a cliff right now, thanks to quarterly results that are in the tank. Company financials are not usually interesting in the slightest, but when they might spell the end days of a vastly popular camera company, it’s worth paying attention. We don’t normally cover quarterly earnings calls, but GoPro’s seems to threaten the future of its company: Today, GoPro announced revenues for the past quarter of $436.6 million, leading to a loss of $34.4 million. More worryingly, the forecast for next quarter is $160 million, way down from the $300 million previously anticipated. Why does that matter? Well, in the long run, it could spell the demise of the most popular action camera company on the market; right now, it’s led to GoPro cutting its line of cameras in half. 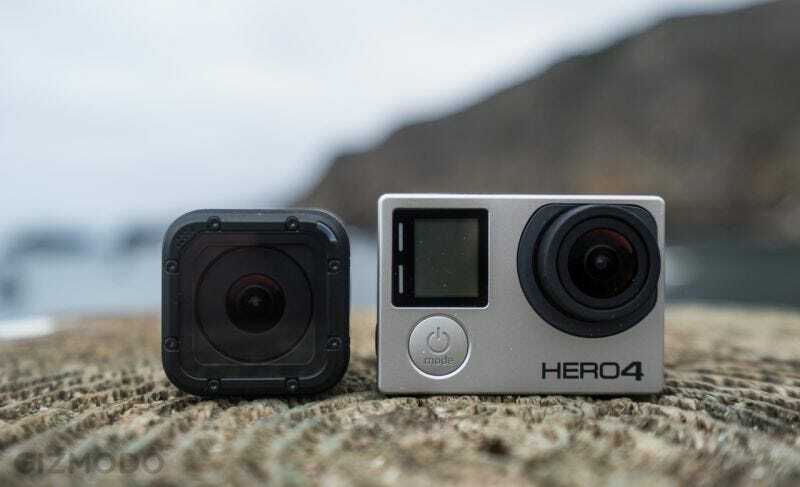 Going forward, GoPro is only going to sell the Hero 4 Black, the Hero 4 Silver, and the Hero 4 Session, which leaves three other cameras—including the $130 Hero—out to pasture. GoPro’s fortunes for the next year are going to rely heavily on the launch of the Hero 5, but more importantly the upcoming GoPro drone, called Karma. Whether autonomous flight and better image quality can revive GoPro remains to be seen, but either way, it’s dark times for the business that basically invented action cameras.